Hello I am Doga, a master student at Bilkent University who cannot separate herself from the field. 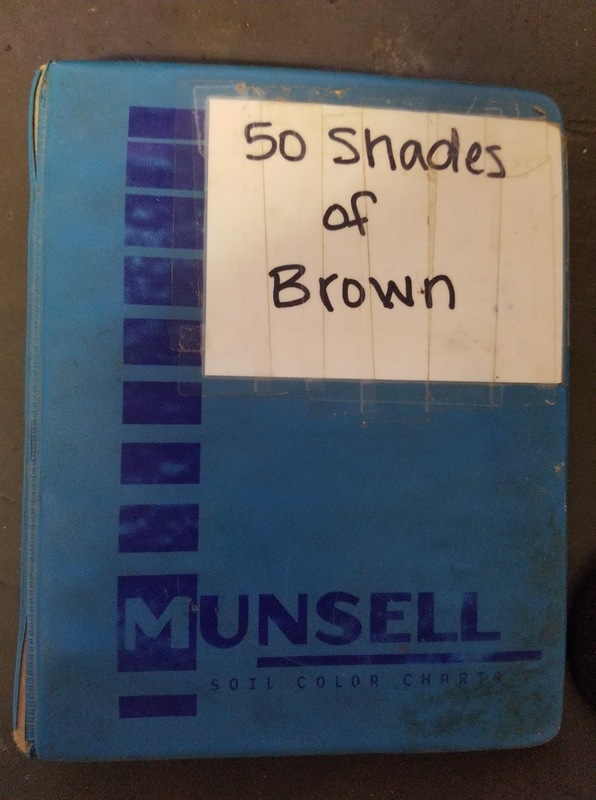 People who know me well also know that I have some kind of special passion to get a farmer’s tan and hanging around stinky and dirty. The first time I have realized this strange passion was in 2015 at Nysa (Sultanhisar) and after that I could never back down from it! Since then, I had a chance to work in different excavation projects and most of them are within the Carian region. This drove me to focus more on this beautiful region and its culture and I am now planing to mule over Carian identity. We will see in the coming year. 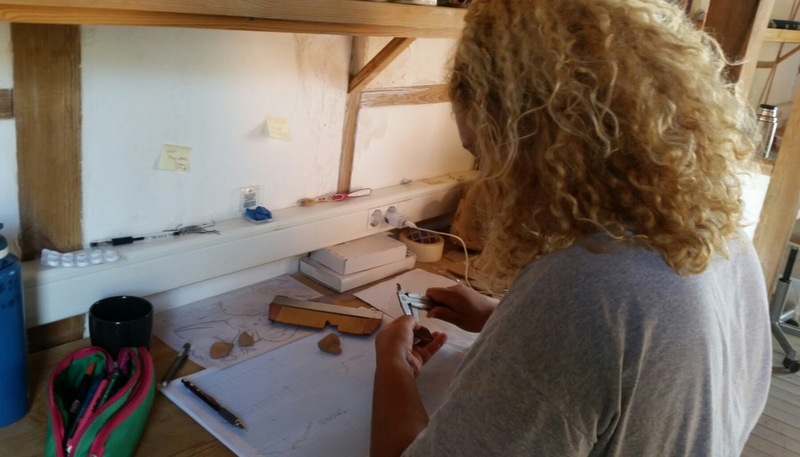 Labraunda Excavations, was the brand new member of Bilkent Archaeology community and this made me extra excited since I might have a chance (insallah) to work on my thesis with a Carian specialist who is respected and accepted among the world academics in his field. Also, after the Kinet Hoyuk excavations, the archaeology department of Bilkent was left without any archaeological project for several years, so having such a project is like a new blood for us. And, of course, after I got accepted to Bilkent, the very first thing I did was sending Dr. Henry an e-mail that showed my interest working on his project. That is gorgeous me, trying the glue together two pieces of a really strange vessel! Now, here I am at Labraunda after a long wait. 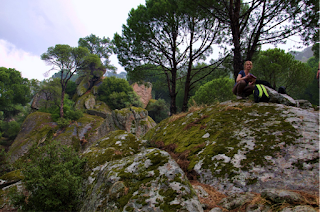 And I am ready to share my experiences about this stunning archaeological site. 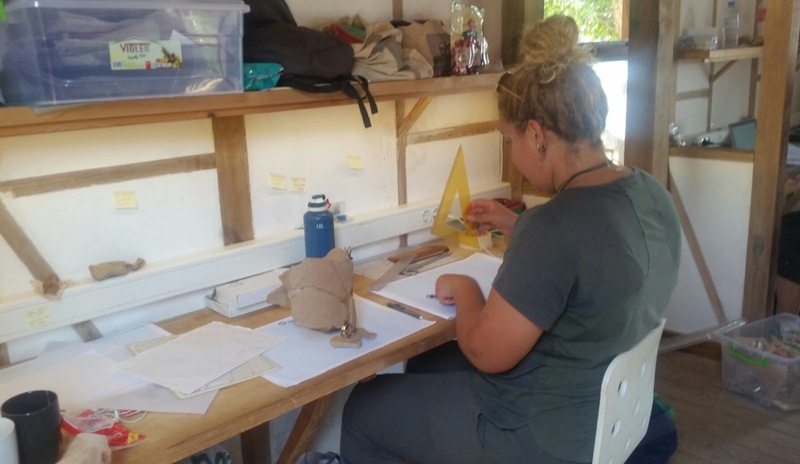 I have been working in the pottery laboratory for about two weeks and my main task is pottery drawing and documentation to help Vasilica Lungu, Labraunda’s pottery expert, and Dr. Henry to get the pottery fragments ready for publication. First, I would like to talk a little bit about the adventures of potteries in a dig and how we process them. During a dig, we archaeologists should keep our eyes open about the artifacts that we can find in the soil. Sad news! the artifact we have found in the field are not whole like we have seen in the textbooks. So get ready to loose yourself in the details! These artifacts you usually encounter could be glass, metal object, pottery, some architectural fragments, or some organic materials. After they are retrieved from the dirt, deterioration starts immediately. Our responsibility as archaeologists working in the field is to decrease this process as much as possible, until they are taken to the laboratory. Each material needs a different treatment. Yet, pottery has least troublesome process among these materials; putting them into a bag or boxes with their tags is enough in the field. At the end of the day, the potteries are gently washed with a soft toothbrush to get rid of their dirt and, after we dried them out, the next step starts, that is sorting. Pottery sherds are sorted according to their fabric, type, function and chronology. You have to check whether they have a slip or glaze remains on them, be careful about the cuts! Some might have fresh cuts indicating the other fitting fragments must be in the bag or box in which you collected the potteries. The thickness, temper, color of the fabric, its texture, reliefs, wheel marks, incision, profiles... any kind of mark could be either a graffiti or just a random trace? You have to be on a constant state of alert! and try to sort as much as you can. The sorting process makes the diagnostic sherds more visible and, that way, archaeologists can pick better information for recording/understanding each context. Then, the potteries are taken to the laboratory to be checked by a ceramic specialist. ( So don’t worry about missing something because experts stand in the breach!) In the laboratory, the expert and his or her team draw, photograph and document the picked diagnostic fragments that give us the most information and then include them in the catalog and trench report. Furthermore, before the drawing, if we found some fragments fitting each other, archaeologists can glue them together as well. That is still gorgeous me, trying the glue together the same vessel! Later on, the drawings are digitalized on specific programs like Corel, Illustrator, or Freehand, before being integrated into the general database. Then comes to the main question: what kind of information could these pottery sherds provide us? Most of all, these potteries can give us a time span since their style and technique change according to their era. Apart from this, we can also learn their functions and therefore better identify the area they came out from. It is even possible to learn who used them, their social rank, gender, who made those potteries and how they made them. So, the potteries I have been working on were already dug, washed, sorted in the previous seasons. Now my work is about drawing and cataloging the fragments from the Build Tomb excavated between 2012 and 2015 by Dr. Henry. Most of the fragments belong to the Hellenistic period. Just before I have started here, I was working at the pottery department of the Aphrodisias Excavations and I drew many pieces of early imperial and late roman potteries which help me to understand the typology and the fabrics in detail. That is why working at the ceramic laboratory of Labraunda is a good opportunity for me to complete my knowledge and better understand the differences and similarities of the ceramic types from the Hellenistic times until the Roman period. Although I am not a big fan of drawing, after some time I caught myself enjoying it and I begun to differentiate all those small details on the potteries that might change the date, function, use, reuse of them. In the undergrad schools, fine wares are the main focus, however, those qualified potteries are not the only types that people used in their daily life in the antiquity. These information are something you can not directly learn from the book, neither can you see these details from the showcase of a museum. You need practice! 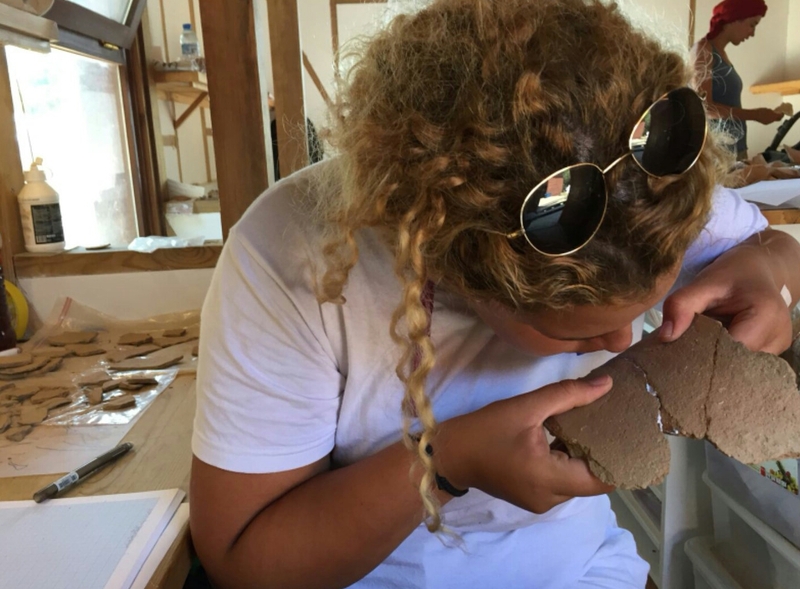 For this, archaeological excavations are the best schools for archaeologists that bring in many skills and gain us new understandings. Apart from these, I would like to shortly mention something that I have experienced here. Last week, Vasilica (Lungu, the head of the ceramic team in Labraunda) gave me a bag containing at least 50 fragments of pottery found during the Build Tomb excavations. At first glance, the pieces looked like they belonged to an amphora. 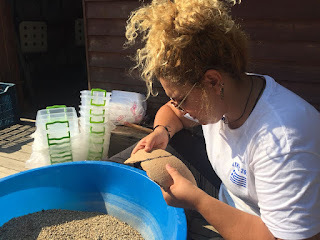 This was so excited for us because till now Labraunda has only one local fragmentary amphora of that type, which was found at the Acropolis and unfortunately, it was therefore very hard to understand its exact form. However, after I have started to mend them together, a strange shape begun to appear that we could not describe at once. By looking at its fabric, it was easy to understand that it was a local product. Local fabric in this region includes lots of mica, some small calcite or marble fragments and it has a dark buff color. What was more exciting about these pottery shards is that I later found many fragment fitting each other. And its shape started to show! The type of the vase reminded us a type of a metalware still used in Anatolian villages, called bakraç. Now, it is hard to put it in a group but hopefully we can discover more about this vase in the future research projects. Being a part of documenting this unique example is particularly thrilling for me, especially as an archaeologist who would like to learn more about local Carian culture. I will keep this piece in mind! After all these experiences, today I’ve decided to test my knowledge and when I saw Dr. Henry, I presented him a rim fragment just to show him that I had learned something. And while I was insisting that the rim fragment belongs to a small bowl, he disagreed with me by saying it belongs to a neck of an amphoriskos, or something like that, with a rim on it. Guess what happened after I asked to our pottery expert? Dr. Henry was right! The moral of this story is don’ t play the Mrs. All-knowing like I did and keep in mind that this is a long process that you cannot learn in a short time. But I will get there soon!